One of the most coming-of-age birthdays for a young woman is her sweet sixteen. America's fascination with this celebration is significant; you may remember watching it play out on MTV's My Super Sweet Sixteen. The show documents a very privileged version of the sixteenth birthday with gifts ranging from diamond encrusted watches to very expensive sports cars. While the docu-drama is entertaining to watch, these sweet sixteen gifts are not only unnecessary, they are way over-the-top. As far as other gift lists, you'll see a lot of ideas that are novel but lack either practicality or sentiment. Is your daughter really going to wear that shirt that says "Sweet 16 Princess" on it? 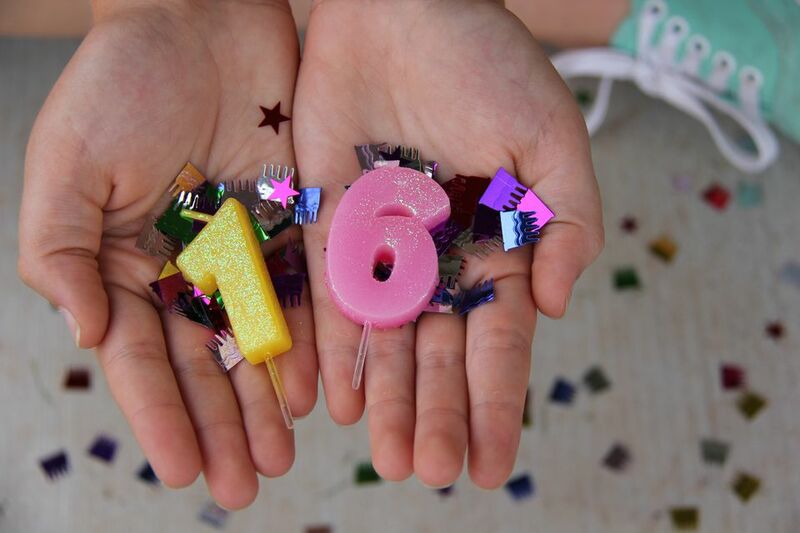 This collection of thoughtful sweet sixteen gift ideas will help you find a gift that can genuinely enhance your teen's life. Some might think that giving your daughter a promise ring is too overbearing. However, a promise ring can mean more than the promise to save yourself until marriage. It could also be a promise to go to college or do well in school. It could be a promise to always cherish family. Maybe it's a promise to never drink and drive. Make a promise ring something special for your family. Most promise rings look like bands that have an eternity design of some type. There are no rules, though. Get a ring that you know your teen will want to wear every day, preferably in silver or gold. Don't limit yourself to just photos. You could collect a book of messages from all her teachers over the years, encouraging her at such a pinnacle time. When you turn sixteen, chances are your access to cash is more limited than your desire to do all sorts of activities that cost money. Even if your daughter or loved one has a part-time job, she'll definitely appreciate a little extra cash in her pocket for movies and going out with friends. But cash is boring. Instead of handing over a card with cash, make something more memorable with the money, like a money cake. One of the more expected sweet sixteen gifts for well-to-do families is a car. But in most states, teens are just learning to drive at 16. Save the car for the 18th birthday (or skip it altogether) and get your loved one some practical driving lessons instead. Pair that with a gas card that your teen can use in the family car for a completely practical gift that will save your sanity. The bedroom is a haven for any teenager, especially when most other rooms in the house are shared with their parents. Help a sixteen-year-old make their room their own by gifting them some on-trend home decor items. Hammock chairs, pendant lighting, and floor pillows will help transform their room into a cozy hangout spot. Sixteen is an age where most teens are mature enough to handle some time away from their parents. Let them! Schools sometimes offer study abroad programs for the summer, where your teen could spend a few weeks in the summer learning about another culture firsthand. An experience like this could be very formative and life-changing. Birthstone jewelry isn't only for mothers. Invest in a timeless piece of jewelry using your teen's birthstone. Just be sure you talk with your teen about how to care for fine jewelry. Since it's more expensive and will last longer, make sure they understand that it's not just a piece of costume jewelry they can lose in their gym bag. Tip: Opt for rings that are bezel set with smaller stones. These rings are more difficult to damage, which is perfect for a teen with an active lifestyle. Some of the most memorable gifts for a sixteenth birthday involve time spent with friends. Sixteen-year-olds are on the brink of being adults, but they are still adolescents. Creating an adult-inspired getaway is a great gift idea. The teen can spend with their friends while still enjoying the mostly stress-free perks of being a kid. Personalized jewelry is very popular among teens and is an affordable way to gift a piece of jewelry. Custom jewelry can be purchased in precious metals or base metals, depending on your budget. If you're really on a budget, we recommend gold-plated jewelry. In the past, sixteen was an age where a girl would receive her first pager or cell phone. Now it seems children get their hands on electronics at a much younger age. If your family has a strict no-phone policy, perhaps sixteen is a mature enough age for an introduction to a smartphone. If your teen already has a phone, upgrade to the most recent model.